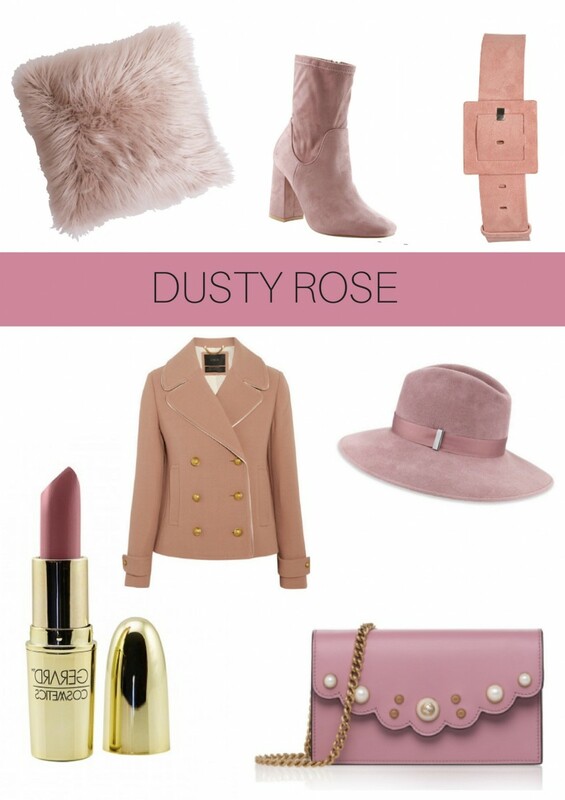 Dusty rose can be a staple color for fall investment pieces as well. It’s worth your consideration as a color for winter coats, booties, home decor as well as a handbag color. This muted hue can accentuate both more muted or more bold colors for the fall. Consider pairing it with colors like khaki, camel, chocolate brown, brick red or cream. Dusty rose may seem subtle but it can really pack a punch when you give it the chance! Gerard Cosmetics: Buy the satin lipstick in ‘Vintage Rose’ – this lip color is really to die for, and I’d recommend it if you’re wanting a true dusty rose color. The formula is amazing and I always get compliments when I wear it! Check out their Instagram for promo codes on your order!